The three top CS departments are all excellent for AGT as well: Berkeley has the patriarch of the field, as well as an AGT-active networking group (Scott Shenker), and a whole related school of Information. MIT has Costis and, from the crypto side, Silvio (who in recent years has been forwarding a hostile takeover of mechanism design by crypto), as well as a network GT group, and the fantastic close-by microsoft reserach center. Stanford has Tim and, on the AI-ish side, Yoav, as well as strong AGT-friendly economists (Paul Milgrom, Ilya Segal), and close proximity to Silicon Valley and in particular to the excellent AGT reserach groups of Microsoft and of Google. The very strong group in Cornell (Including Eva Tardos, Jon and Bobby Kleinberg, Joe Halpern and, from the crypto side, Rafael Pass). 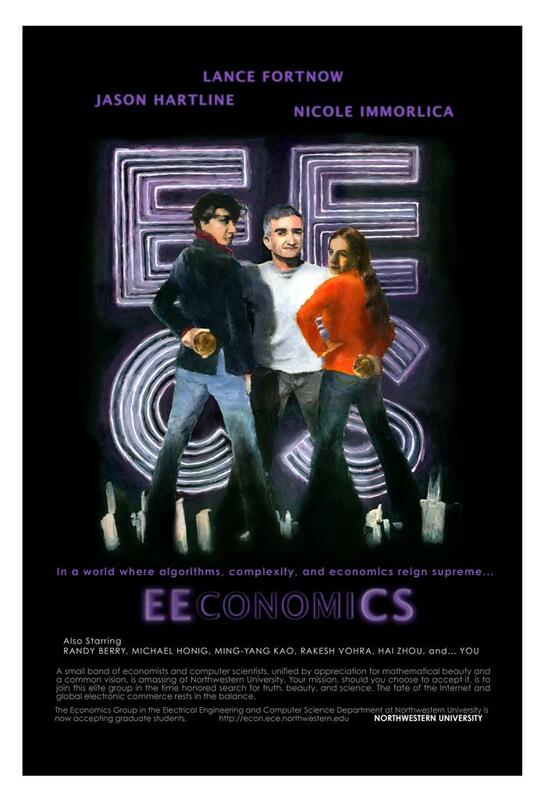 The EEconomiCS group in Northwestern (Lance Fortnow, Nicole Immorlica, Jason Hartline) with strong support from the business school (including Ehud Kalai, the unofficial AGT godfather within GT, and Rakesh Vohra, a major communication hub between Econ/GT, OR, and TCS). Liverpool has a strong Economics and Computation group. Israel has unusual presence in AGT, including Tel-Aviv, the Technion, and my own CS department at the Hebrew University (Jeff Rosenschein, Daniel Lehmann) with a strong supporting center for the study of rationality (including AGT reserachers Liad Blumrosen and Michal Feldman as well as many AGT-close economists, game-theorists, and mathematicians like Sergiou Hart, Gil Kalai, and Abraham Neyman). So let me stop with this incomplete list, and ask readers for more suggestions.